The Scroll® Compressor. 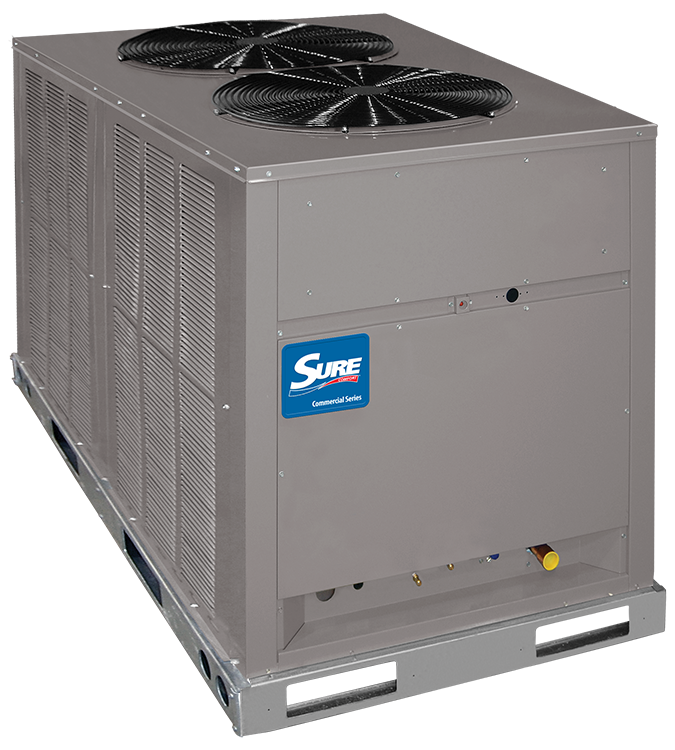 All of our residential/commercial package units, regardless of efficiency level, feature the Scroll Compressor. These scroll compressors use a more advanced technology than traditional reciprocating compressors. The Scroll Compressor is hermetically sealed with internal high temperature protection, and durable insulation on motor windings. The entire compressor is mounted on rubber grommets to reduce vibration and noise. There is a separate compressor compartment for easy service access. External wraparound Crankcase heater helps prevent refrigerant migration to the compressor oil during long off periods. They have fewer moving parts; they are quieter, more efficient, longer lasting. Durable Cabinet. Our cabinets have a powder painted finish that protects them from the harshest weather extremes. Galvanized steel with powder coat paint finish. The powder coat paint finish is high gloss, durable and capable of withstanding a 1000-HR salt spray test per ASTM B117. The unit is of the frame and panel type of construction which allows all access panels to be opened or removed without affecting the structural strength of the unit. Fastening screws are also of the 1000-HR type. Stamped louver panels offer 100%protection for the condenser coil. Refrigerant Connections. All field sweat joints are made external of the unit and are located close to the ground for a neat looking installation. Motor/Fan Motor Mount. Our mount helps protect the fan motor from the elements for longer life. Its design dependability helps reduce vibration and noise. Condenser fan motor(s) are mounted on removable top panel(s) which bring the motor(s) out to you and expose entire condenser coil for cleaning. Condenser fan motors are direct drive, single-phase permanently lubricated “PSC” motors with inherent overload protection. Service Access. Control box with separate line and control voltages, as well as compressor and other refrigerant controls are accessible through access panels. An electrical access cover may be opened or removed without affecting normal operation of the unit. Condenser fan motors are equipped with molded plugs for easy removal. Louver panels and end access panel can be removed for coil cleaning.